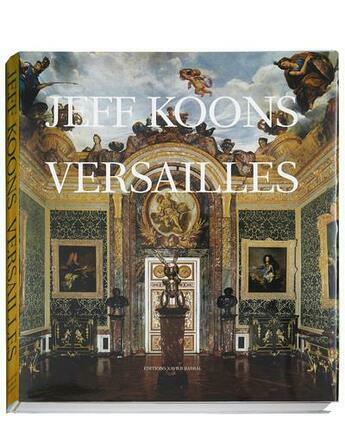 This volume presents a marriage made in camp heaven--the splendid extravagance of the palace of Versailles as a backdrop for the gregarious, loud and equally extravagant sculptures of contemporary American Pop artist Jeff Koons, who mounted the first contemporary art exhibition ever in the apartments of the king in September 2008. What other artist could match Louis XIV's love of the saccharine gesture? Sugared up to the max, Koons here counterposes Versailles' rich detail with his more simplified forms, including a monumental red chocolate-box-style heart, balloon dog and suspended red aluminum lobster. Other works outdo Versailles for kitsch, such as Koons' marble self-portrait, playfully sited amid busts of Louis XIV, his infamous "Michael Jackson and Bubbles" sculpture and his ever-cryptic bare-breasted blonde clutching the Pink Panther. Yet others, such as the large vase of flowers, blend seamlessly with the decor. Needless to say, accusations of irreverence have abounded, but Koons avows only respect for the venue and has testified that he has drawn inspiration for his floral sculptures from the "fantasy and control" shown by Louis XIV himself. The degree of sympathy is as hard to contest as the edge of parody: Asked why he installed his vitrine of vacuum cleaners among the portraits of royalty in the Queen's antechamber, Koons replied that, among other things, vacuum cleaners are "very womblike." This monograph records each of the 17 works as exhibited and is supplemented with texts by Jean-Jacques Aillagon, chairman of Versailles and a former French culture minister, and controversial French novelist Michel Houellebecq, among others.